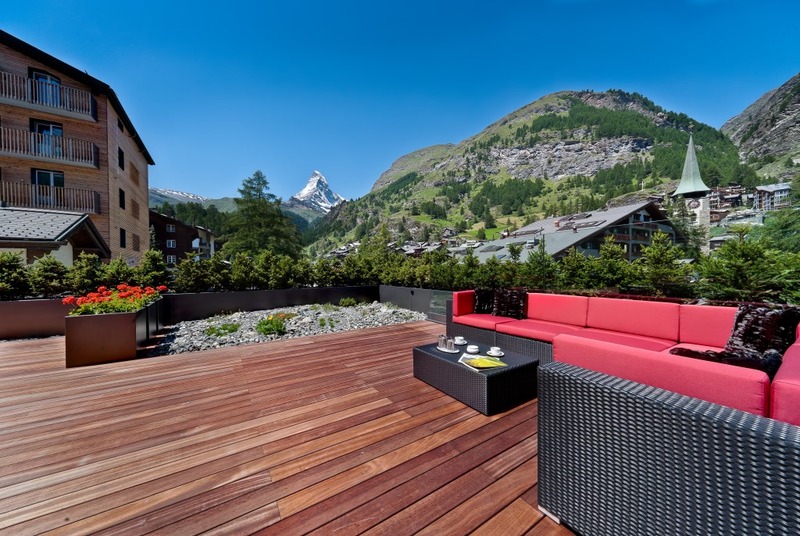 The 3*-superior Hotel LA COURONNE is located in a sunny, quiet and very central place in Zermatt, offering breathtaking Matterhorn views. The mountain railways can easily be reached on foot or by bus, which stops just below the hotel. 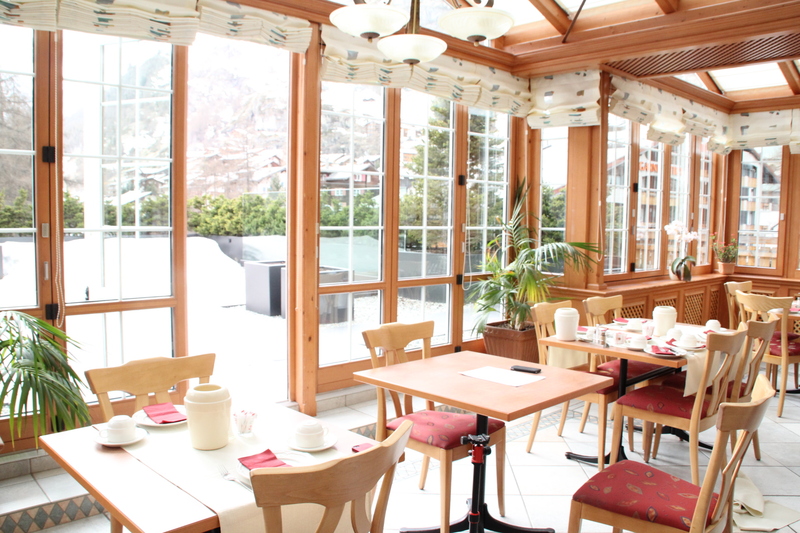 Enjoy breakfast in the beautiful winter garden with its unique atmosphere. 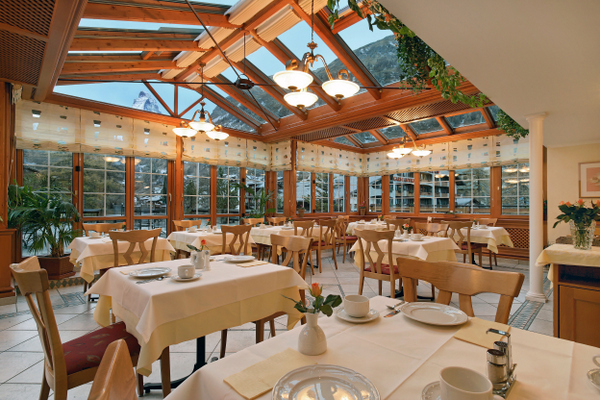 The restaurant OLD ZERMATT serves a combination of fresh Mediterranean and regional dishes. A vegetarian menu is also offered, gluten free dishes are available. SLALOM SPORT is situated in the same complex and offers hotel guests special discounts on rentals and purchases. After a great day out in the fresh mountain air you can relax in the sauna or find some peace reading a book in the Matterhorn Lounge. Free wireless internet is available in the entire hotel LA COURONNE. The 3*-superior holiday hotel LA COURONNE is personally run by the Julen family and has 41 rooms. The hotel is favourably situated in a sunny, quiet and central location near the church. The mountain railways are within 5 to 10 minutes walking distance. In addition, there is a ski bus stop right in front of the hotel. 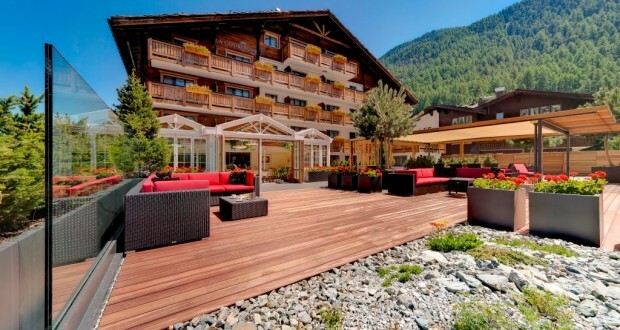 Comfort: Our newly renovated rooms, most with Matterhorn view, offer every modern convenience. All rooms are equipped with bath tub or shower, toilet, hair dryer, safe, cable TV and direct dial telephone. Lovely prospects: Start your day with a varied breakfast buffet in our winter garden, enjoying a spectacular view of the Matterhorn. Culinary Delights: In the restaurant Old Zermatt, our chef will spoil you with Mediterranean, regional and vegetarian dishes. Cosiness: The spacious hotel lobby invites our guests to sit back with friends and in our multimedia room you can watch movies on a large screen. 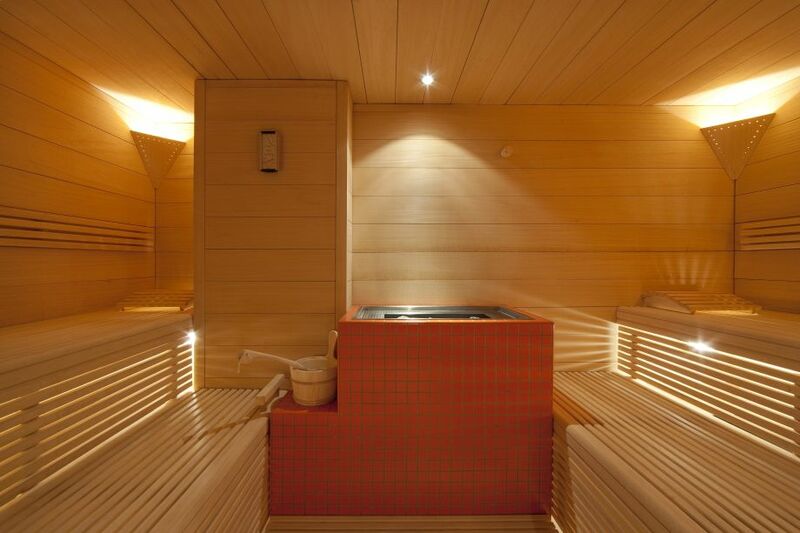 Relaxation: After a long day in our wonderful mountain landscape, the hotel’s own sauna can be used free of charge. 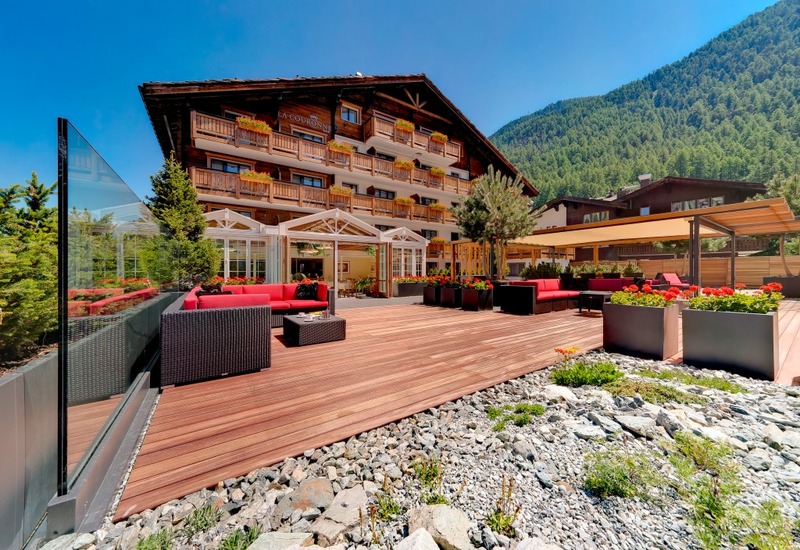 Matterhorn Lounge: In summer you may enjoy our new terrace with a breathtaking view of the mountains. Ski tickets: You can purchase ski tickets directly from us at the hotel. You have the possibility to book them together with your room. Internet Corner: Do you wish to retrieve your e-mails during your stay? We offer free internet access/WLan and an internet corner. Sports: Our sports shop is situated in the same building. Whatever kind of sports clothes or equipment you are looking for, you will find it in our Slalom Sport. Our hotel guests benefit from a special discount of 10%. Start the first day of your holiday relaxed – RENT it, don’t drag it along. Zermatt is car-free: Private traffic is only permitted up to Täsch (5 km before Zermatt). The road between Täsch and Zermatt is closed to private transport. In Täsch, you have access to various parking spaces. Some of the multi-storey car parks also have outside parking and offer a taxi service to and from Zermatt. Pick-up service: Our porter will be happy to collect you upon your arrival in Zermatt at the train station or the taxi rank. Please use the free telephone at the train station. This service is free of charge and available from 8.00 am to 7.00 pm.